It seems without fail, once people realize I am a wine nut, they ask me what they should buy. While I enjoy helping people find good wine at a reasonable cost, it is almost impossible to predict what someone may like. This column is for all of you that ask for assistance in what to try and what to buy. If you can give me answers to the following three questions, I can make a solid recommendation on the wine or wines you should be trying. What do you like? This seems like a simple question, but surprisingly, wine newbies have no clue to the answer. It is important to know what wines and varietals you like. When you come across a wine you find tasty, you need to write down or remember three things. What varietal, what winery/vineyard and what year are all found on the label. If I am supplied this information, I can usually make some recommendations that will probably suit your taste and budget. Without this information, I have no point of reference that would enable me to make a valid recommendation. As with most subjects, knowledge is power. Learning about wine is a process. Your tastes will change over time as you learn more about wine, and more about your particular palate. 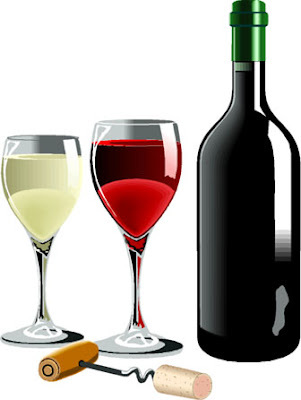 New wine drinkers are usually attracted to fruit forward wines. California and Australian wines will be in abundance on your favorites list. Slowly but surely, you will start to appreciate some of the more complex nuances of a good wine. Depth, layers of flavor, length of finish are all key components of a good wine. You may eventually replace fruit forward wines with more complex, balanced wines. You also may not! To this day I occasionally crave a good Californian or Australian "Fruit Bomb". Start a wine journal. It does not have to be complicated. List the wines you have tried with comments on how you liked the wine. It does not have to be in "wine speak". Whatever words you choose should be able to bring you back to the experience and give you a quick summary of how much you liked, or did not like, the wine. You will be amazed how helpful this will be for you in the future. Over time, you may even see your tastes start to change as you become more educated about what you like. If you are drinking wine with someone that is more knowledgeable then you are, ask questions. To this day I still ask my wine friends what they smell on the nose, what they taste in the glass and what their impressions are of the wine overall. I am still learning to identify different aromas and flavours in the glass. The more experience a person has with wine, the more specific they can be in describing the wine using words. As you become more experienced with wine, you can use these verbal descriptors to determine if a wine may suit your taste. Share your favorites with others. They will share their experiences with you. I cannot tell you how many great wines I have found through friends and reader recommendations. Wine is made to drink with friends. Old friends, new friends and wine friends. Did I leave anyone out? Enjoy! Periodically I go to a local wine store searching for the Holy Grail. You know, wine that tastes great and most importantly, does not exhaust your budget. I was in a DC wine store a few weeks back and picked up a half case of wines I never tried. I got a few Malbecs, a few Spanish blends, some primitivo and a few Petite Chateau Bordeaux. I tried the Malbec last night, and was blown away. The best part of reviewing a wine is finding out more about a wine you love. Like the layers of flavour a good wine will offer, it often also offers a good story. It always seems to be a person of great passion that is making the wine. Many times the story has a twist. I started researching Vina Cobos this week and was amazed to see the name of a winemaker that is high on my favorite list. 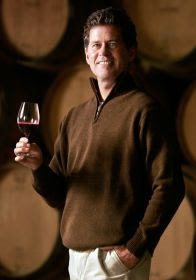 Paul Hobbs has been making fabulous wine from the North Coast of California for many years. All of his wines are highly rated, and many of his wines already have a home in my cellar. Why his association with this winery is not more clearly advertised is a mystery. This would have been an immediate purchase for me if I know Paul was involved. Live and learn. Paul went down to Argentina in 1988 to assist Nicholas Catena in making Chardonnay. He consulted for 10 years, and left his position to open his own winery. 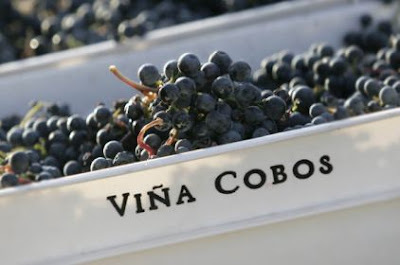 Vina Cobos produced its first wine in 1998. Since then Paul has not looked back. 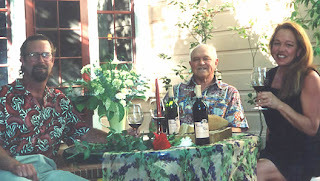 He built a winery on site in 2005. This wine has been getting some rave reviews by some top reviewers ever since. The nose on this wine is incredibly rich. It took me a minute to actually sort out what I was detecting in the nose. Black Cherry, Dark Berry, and spice really saturates your senses. The dark purple wine is full bodied and rich. Great mouth feel is important to me, and this wine delivers. Big, chewy with black berry fruit and plum notes. The finish extends a long way with a touch of oak. Hobbs ages this in a mix of French and American oak. 21% of the barrels are new, which causes the oak nuance on the finish. The wine is smooth, but not without good balanced tannins that will allow this one to lay down for a bit. I am very curious to taste this a few years down the line. I think it will actually improve for a few years in bottle. The tannins will integrate and the wine will become softer. There is enough fruit in this beauty to really shine once the tannins settle. This wine was released at $17.00. For this price, it is a tremendous value. If you have not tried Malbec from Argentina, this is the wine to cut your teeth on. The $17investment won't break the bank, and you might find this to be a new favorite. With Paul Hobbs at the helm, this wine will sail right into your favorites list. I found this wine in DC at Calvert Woodley for $19. On line buyers can go to www.napacab.com and buy this beauty for $14.95. With Paul Hobbs wines from California selling upwards of $75, this is a great deal. Chateau Saint Jean has been represented in my cellar for many years. Their Proprietary "Cinq Cepage", is a wonderful Bordeaux blend that consistently gets great scores from most reviewers. I never had the opportunity to try their Chardonnay until I opened a bottle with a friend last week. What a wonderful surprise. When reviewing Chardonnay in the $20-$25 range, I often have my expectations set on the low side. Much of the chardonnay in this price range is mundane. The grapes used for Chardonnay at this price point are not of the highest quality. Why should they be? The top grapes can be sold or used for wines that are two or three times the money. For $25, I would rather find a bottle of Savignon Blanc or Viognier of excellent quality then suffer through a mediocre chardonnay. The 2005 Belle Terre Chardonnay delivered a lot of quality for the price. As a reviewer, I should not make assumptions before tasting. This wine reinforced the fact and taught me a valuable lesson. The wine is light honey colored, with a tinge of green. It is medium to full bodied for a white. The wine clung tenaciously to the glass when swirled. Honeysuckle, Peach, Nectarine and Lemon were prevalent in the nose. Peaches and nectarine are abundant up front, with a nice hint of oak towards the finish. Not overdone, the little bit of oak will please even those who like an "unoaked" chardonnay. The wine is rich and full in the mouth with fabulous length. The finish goes on and on.....fabulous! This wine was released last year at $25, and can still be found on the winery website at this price. 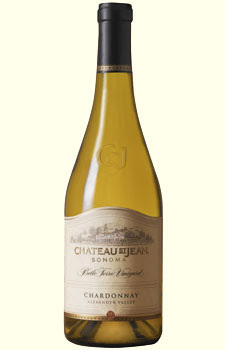 www.chateaustjean.com For those of you that are comfortable with internet purchase, it can be found at the Wine Exchange, www.winex.com for $17.99 per bottle. This quality chardonnay is a steal at this price. Back up the truck, and buy a few cases. You can thank me later....get your credit card and buy a case before it is gone. I went to a fabulous LaTour Burgundy tasting last month sponsored by Calvert Woodley Wines, a local wine shop in D.C. They usually sponsor at least 2 wine dinners a month, and for my money, offer the best in Washington. Usually they keep the cost at $99 or less, which includes dinner, wines and all gratuities. In the Washington market, this is a great deal. As part of the entry price to the LaTour tasting, I received a $40 gift card to Calvery Woodley. This was the only excuse I needed to drive into D.C. and look for some new wine. My favorite question to ask of the staff of any wine store is "What is your current favorite wine to drink TODAY?" Debera Edwards did not hesitate when I asked her. She brought me over to the Zinfandel, and pulled a bottle of Camellia Cellars off the shelf. "If you like Zins, this bottle is great." I immediately put it in my basket. 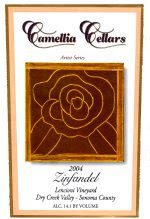 Camillia Cellars is located in Healdsburg, California. Owned and operated by Father/Daughter team Ray and Chris Lewand and partner/winemaker Bruce Snyder, this team has been producing wine since 1985. In the early days the wine was made in the basement of the family owned Camillia Inn. The winery became a commercial operation and was bonded in 1997. Currently they produce Zinfandel, Cabernet, Sangiovese and a Proprietors Blend. The zinfandel is dark ruby in color. Quite fragrant, the sweet nose of black cherry, black brier fruit foreshadow your first taste. Medium bodied, cherry, mulberry are prevalent with a bit of black fruit and spice near the end. The wine is fruit forward with soft tannins and a long finish. This is a lot of flavor for the $25 price tag. This is a wine to drink now. It paired beautifully with goat cheese and bread, and the rest of the bottle complemented my Rib-eye steak with class. The bottle was gone WAY too soon. Pick up a bottle at Calvert Woodley on Connecticut Ave. in DC. It is also sold by mail order from the vineyard . If you go into Calvert Woodley, be sure to tell them that WineGent sent you! Sometimes in life, the most pleasant of days cannot be planned. They just happen. Such was the case this Wednesday when I took the afternoon off to visit some old friends in Barnesville, MD. Victor and Linda Pepe live on 150+ acres in the shadow of Maryland's Sugarloaf Mountain. Their farm is called "Stella's Dream" in memory of Victor's Mom. It is a beautiful property. Rolling fields, ponds, streams and at least 100 bluebird houses are scattered across the acreage. It is a wonderful place to decompress, and I tend to invite myself to see them at least every other month. We sat in the kitchen catching up on each others lives. I have a 25 year history with these friends. The best part of the day is when we re-tell stories from the past. Over the years the same stories re-told get better and better. Of course, lunch was accompanied by a few bottles of wine. 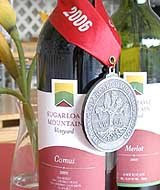 Victor asked me if I had ever tasted the local wine produced by Sugarloaf Mountain Vineyards. I told him that I had not. Honestly, I have never even heard of the vineyard. That is all Victor had to hear. We were off on a field trip. The vineyard is only a few miles from Victor's farm. We arrived to the tented tasting room about 2:30, and were welcomed by the staff. The vineyard is a work in progress. While the wine processing, storage and bottling areas are functional, the tasting room is currently housed in a large tent attached to the winery. A cozy tasting bar and tables fill the comfortable space where you instantly feel at home. A huge red barn is being renovated adjacent to the tasting tent. This will eventually house a formal tasting room and be the central focus of the winery. Plans for the space include a larger tasting room and space for entertainment. This is a perfect spot to hear music while drinking wine in the shadow of Sugarloaf Mountain. You feel excited when you see what they have done here. It will be difficult for even the most uncreative soul not to see the potential of this space. Josh Parker manages the tasting room at Sugarloaf. A young man just shy of 30, Josh has an obvious passion for what he does. 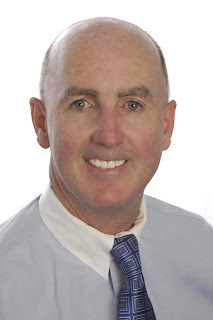 With a good understanding of wines, and a contagious passion for the Sugarloaf Mountain Vineyard, he is a wealth of knowledge. We spent quite a bit of time conversing about the wines and future plans of the owners. He also has a deft hand when blending his delicious sangria recipe. Be sure to try a glass if it is available! I spent the afternoon with my old friends and new friends drinking wine and noshing on some fabulous local goat cheese sold in the tasting room. ALL of the wines here are worth tasting. There is a Pinot Grigio, Chardonnay, Merlot, Cabernet and a few Bordeaux blends. It was interesting to see they produced both a Left Bank and a Right Bank blend. Both were good, and for about $20, they rival some of the best local wines I've tasted. The vineyard is open Wednesday through Sunday for tasting. There is a nominal fee for tasting, but grossly inexpensive considering the good wine and great company. I find it hard to believe that anyone would leave here without a smile on their face. More importantly, a long thought as to when they can return. I can guarantee it will be a destination for me at least a few times this summer. 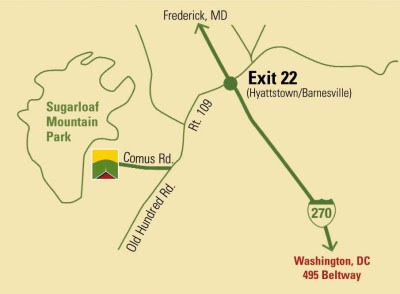 Sugarloaf Mountain Vineyard has a great website with information on the wines, the winery history and directions. Be sure to let them know that WineGent sent you!